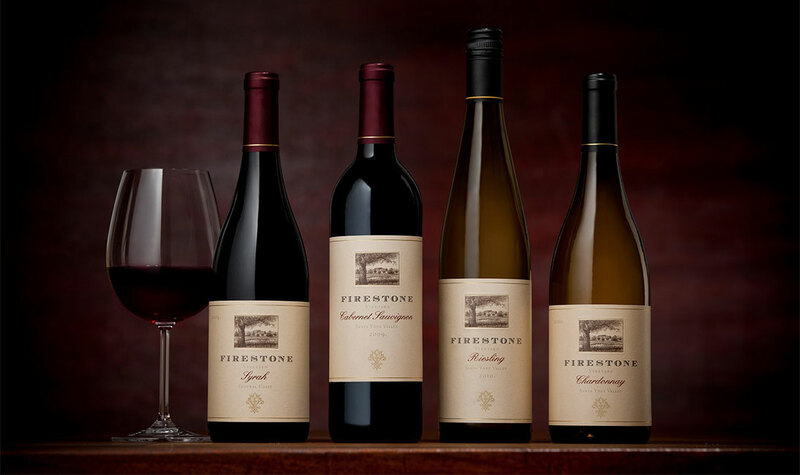 The Firestone Vineyard Cellar Club showcases our property’s unique ability to produce a diverse array of amazingly distinct wines as well as the breadth and depth of our winemaking. This club includes every variety we produce — Riesling, Gewürztraminer, Sauvignon Blanc, Chardonnay, Pinot Noir, Syrah, Merlot, Cabernet Sauvignon and our Bordeaux-style blends. You'll enjoy specially selected wines delivered right to your door, discounts, special invitations, newsletters and more. Choose the club that is right for you including red, white or mixed varietal options. Complimentary tasting at any of our Sister properties up to four people and a minimum 10% discount on wine and merchandise. Our sister properties include: Acrobat Winery, Chalk Hill Estate Winery, Chalone Vineyard, Eos, Foley Estates Vineyard & Winery, Foley Johnson, Foley Sonoma, Kuleto Estate, Lancaster Estate, Langtry Estate & Vineyard, Lincourt Vineyards, Merus Wines, Roth Estate Winery, Sebastiani Vineyards & Winery, The Four Graces, and Three Rivers Winery. 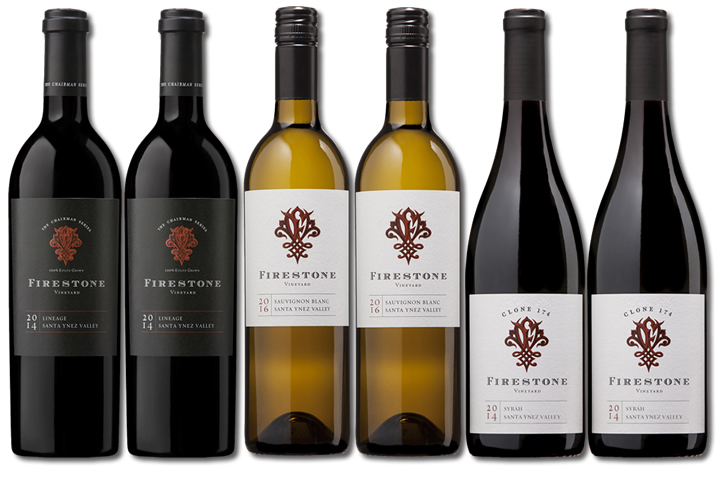 Four times a year, you'll receive a selection of Firestone red and white wines specially selected by our winemaker. Our Cellar Mixed Club allows you to experience the complete range and character of our estate by offering a selection of all varieties. Average Cost: $68 plus tax & shipping costs. 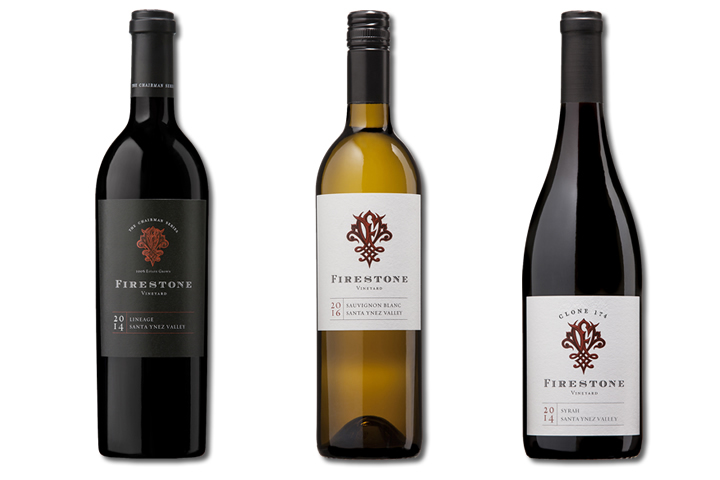 Four times a year, you'll receive a selection of Firestone red wines specially selected by our winemaker. Our Cellar Red Club offers a selection of Pinot Noir, Syrah, Merlot, Cabernet Sauvignon and red blends. Wine selections and prices may vary from shipment to shipment. Average Cost: $73 plus tax & shipping costs. 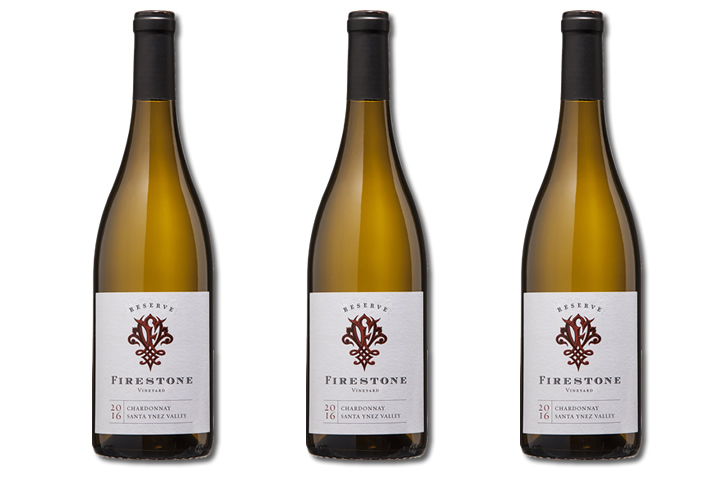 Four times a year, you'll receive a selection of Firestone white wines specially selected by our winemaker. Our Cellar White Club offers a selection of Riesling, Gewurztraminer, Sauvignon Blanc and Chardonnay bottlings. Average Cost: $48 plus tax & shipping costs. Members of our Double Me Up Mixed Club receive the complete range and character of our estate with a selection of all varieties — similar to our Cellar Club but it’s twice as nice with six bottles in every shipment and includes free shipping. Members of our Double Me Up Red Club receive a selection of Pinot Noir, Syrah, Merlot, Cabernet Sauvignon and red blends. — similar to our Cellar Club but it’s twice as nice with six bottles in every shipment and includes free shipping. 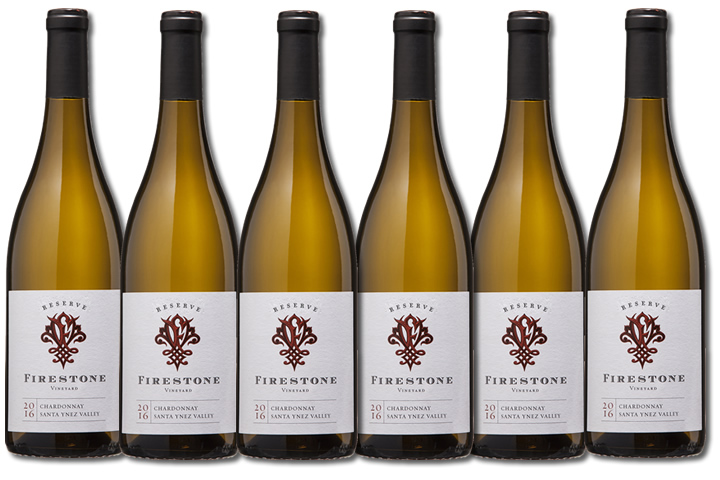 Members of our Double Me Up White Club receive a selection of Riesling, Gewurztraminer, Sauvignon Blanc and Chardonnay bottlings — similar to our Cellar Club but it’s twice as nice with six bottles in every shipment and includes free shipping. We're here to help! We have tips on how to ensure your deliveries are successful. 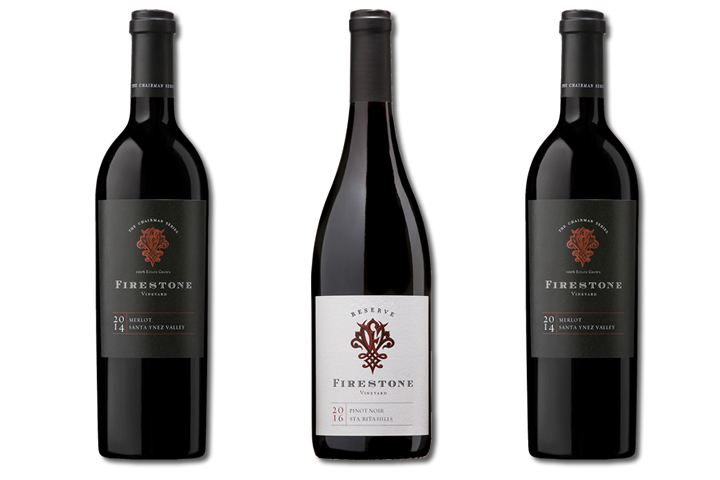 Contact us at (866) 331-4938 or send us an email at wineclub@firestonewine.com. 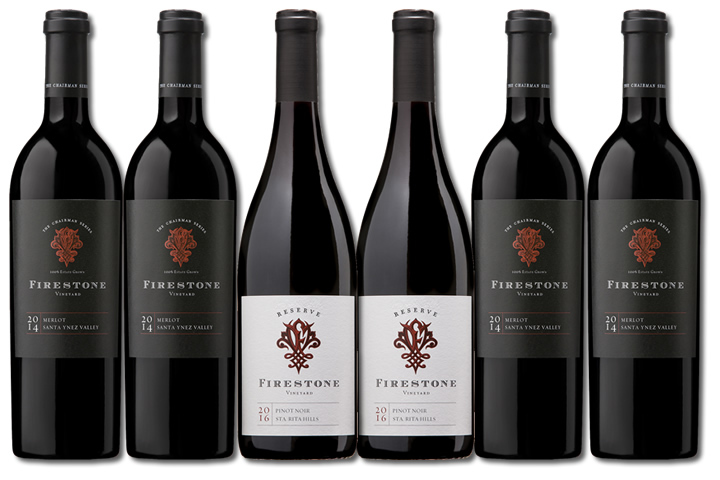 Firestone Vineyard can ship to most of the United States. States currently not available for direct-to-consumer wine sales are: AL, AR, DE, GA, IN, KY, LA, MS, NC, OH, OK, SC, and UT. State shipping laws subject to change without notice. If it is necessary to cancel your membership, that request must be received at least 30 days prior to the next club shipment. Termination of membership may be requested following the receipt of two shipments.